Worldwide, radiology oncology surgical robot markets are poised to achieve significant growth as next generation systems provide a way to improve traditional open surgery and use radiology for cancer surgery, paving the way for wider use of radiology oncology surgical robots. New systems pinpoint the delivery of radiation precisely, eliminating the radiological overdosing that has been such a problem previously, limiting the quantity of radiation that can be delivered. Radiosurgery robots take cancer surgery far beyond what has been available, as radiology oncology surgical robots use mechanical mobility and continuous image guidance to remove tumors. 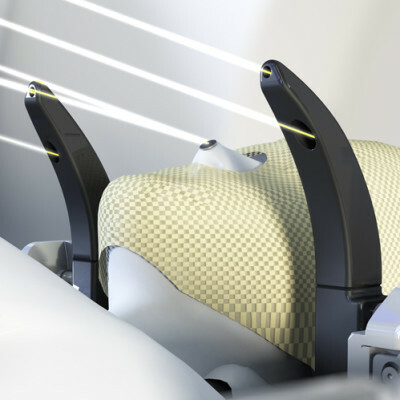 The Accuray CyberKnife® robotic system follows the oncology target throughout treatment, intelligently delivering sub-millimeter precision, sparing healthy tissue. A robotic manipulator and a compact, lightweight linear accelerator, can deliver beams from thousands of noncoplanar, isocentric or non-isocentric angles. Treatments have very high tumor coverage, steep dose gradients, and tight dose conformality. The radiation oncology market is growing globally due to a number of factors centred around the aging of the population and the benefits accrued from new technology with the number of new cancer cases diagnosed annually projected to rise from 14.9 million in 2015 to 20 million by 2025. Both developed and developing countries have aging populations. Technology advances improve the precision and applicability of radiotherapy and radiosurgery. Expanding uses of radiotherapy and radiosurgery equipment occur because the units are able to treat a broader range of cases. Advances in hardware and software are creating a market for replacing an aging installed base. New designs are able to deliver higher standards of care. The rise in cancer cases, together with the increase in sophistication of new treatment protocols, have created demand for more automated products as automation depends on integration of several devices into clinically practical systems. Integrated systems make treatments rapid and cost effective. Technology advances lead to improvements in patient care and the availability of advanced, automated and efficient clinical tools in radiation therapy has brought more precise forms of radiotherapy treatment (IMRT, IGRT, VMAT, SRS, SBRT, brachytherapy and proton therapy). Technology includes the EDGE™ and Truebeam™, and the Accuray TomoTherapy H Series and CyberKnife M6 platforms that enable treatments that reduce treatment times and increase patient throughput. International markets will provide the ground for a boom in radiosurgery robots, as these markets are under-equipped to address the growing cancer incidence. Patients in many countries must frequently endure long waits for radiotherapy and it is estimated that about 9,000 additional treatment machines will be required by 2020 in developing countries, according to ATI Industrial Automation, a developer of robotic accessories and robot arm tooling. China, India and Brazil are estimated to require over 3,800, 1,200 and 400 additional machines, while demand in emerging markets, coupled with ever increasing incidences of cancer, represent additional drivers for continued growth. Radiology oncology surgical robot market driving forces relate to an opportunity to achieve change in medical practice regarding the treatment of cancer. Change would lead to utilisation of stereotactic body radiosurgery more regularly as an alternative to surgery or other treatments. Radiosurgery is poised to revolutionise the treatment of cancer by eradicating tumors while not harming surrounding healthy tissue. The ability to use high doses of radiation to precisely eliminate a tumor while leaving healthy tissue unharmed is compelling. The Varian, Elekta, and Accuray radiology oncology surgical devices offer robust clinical treatment capabilities. Flexibility of the Accuray InCise™ Multileaf Collimator and robotic delivery permit treatment of tumors previously thought untreatable. With radiosurgery and SBRT cancer can be treated efficiently and effectively.